Bodum Presso Storage Jars - the Bodum Presso storage collection collection is manufactured from silicone and borosilicate glass and can resist extremely high temperatures. The jar itself, except the lid, is microwave safe. The Presso provides full flexibility of storing any kind of products - all from very hot liquids to liquids with a high acidy level - without discoloration. 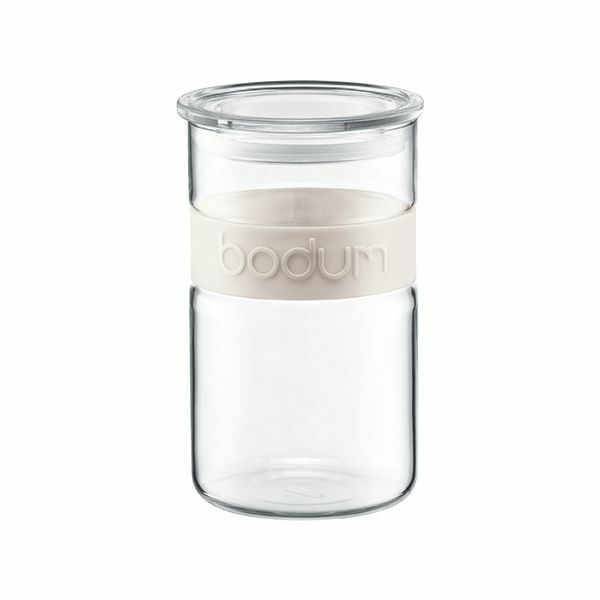 Bodum Presso storage is made of fully recyclable materials. My goodness, you have to love these containers. I have them for tea, coffee and sugar but you can use them for any dry goods. Look neat and tidy in my new kitchen.